Putrella is still growing strong! 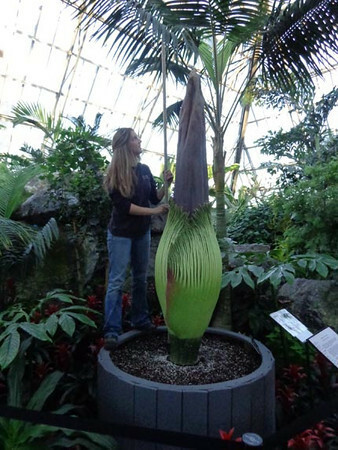 April 17 it registered in at 7'3" (or 222 cm or 87 inches) tall. Having found a new (taller!) measuring device our Pyramid Grower, Sarah, inspects and measures Putrella's growth.